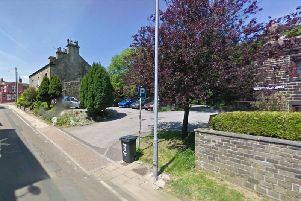 A man suffered slight smoke inhalation following a chip pan fire at a property near Huddersfield. The fire crew from Cleckheaton were called to a kitchen fire at Thornes Park in Brighouse at 1.50pm today (Saturday) but were told it was possibly already out. On arrival, crews confirmed the fire was in a chip pan and was already out but asked for an ambulance for the occupier who had suffered slight smoke inhalation.